CSUN alumni and student group National Millennial Community (NMC) visit Washington, D.C., to present a paper on the state of the opioid epidemic to President Donald Trump's Administration. Photo courtesy of Bill Imada. CSUN alumni and the leadership group National Millennial Community (NMC) had the chance to present a paper on the state of the nation’s opioid epidemic to President Donald Trump’s administration. According to its executive summary, the paper discussed ways to provide a millennial perspective that coincides with the administration’s current and future health initiatives. In March, distinguished alumnus and co-founder of NMC Bill Imada ’84 (Human Resource Management) made a visit to the White House with the help of Eljay Feuerman, NMC co-founder, and CSUN alumna Edith Gomez ’16 (Marketing). The visit’s purpose was to engage in a conversation about the country’s opioid crisis. Initially, the NMC was scheduled to visit and tour the White House in August 2017. That visit was postponed to this spring, after White House staff asked the group to prepare a conversation about millennials’ perspectives on the opioid crisis. Feuerman said the conversation had shifted because an NMC member had seen people in his hometown deal with the effects of opioids. The group suggested they take the planned conversation one step further and send recommendations and exploratory research on the opioid crisis to the White House. Imada said he was proud to have so many CSUN alumni and representatives from another California State University present at the White House. In May, the NMC received a positive response to the white paper from President Trump’s administration. 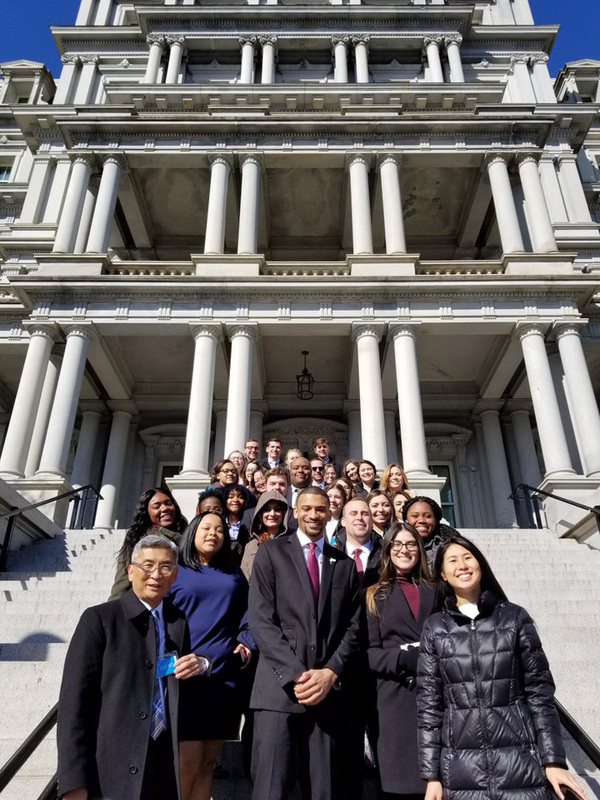 Special Assistant to the Secretary at the White House Melissa Fwu told Imada that the White House was impressed by the well-thought-out essay and by the level of understanding that the NMC community demonstrated on the opioid challenges facing America, Imada said. She sent the document to Kellyanne Conway, counselor to the President and the White House’s point person on response to the opioid crisis, Imada said. 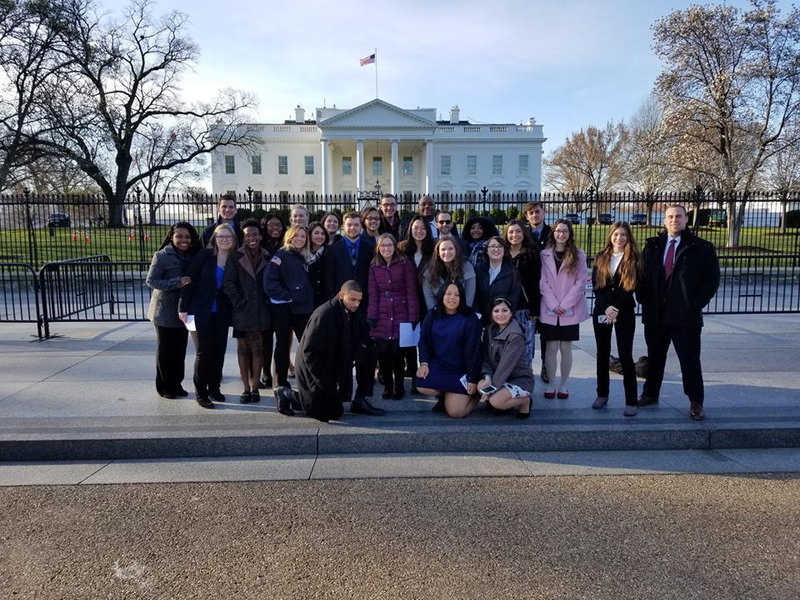 NMC member Brittany Gamble ’18 (Journalism) was one of five members pre-selected to speak with White House executives. She said she felt honored to have the opportunity to speak to the White House on such an important topic. Gamble wasn’t the only CSUN student to participate. NMC member Nicole Delgado ’18 (Marketing) helped research and write the white paper. Although she was not able to attend the meeting at the White House, she felt compelled to contribute to the project. Delgado said she appreciated having a chance to make change. Social movements can affect everyone, directly and indirectly, and she hopes that the white paper will help people understand the national crisis, she said.